I'm drawn to the word "journey" of late. Our B & B (Journey's Inn), my blog . Can't help it. I'm on a journey. We all are. 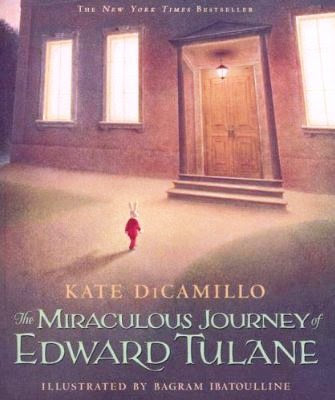 I read The Miraculous Journey of Edward Tulane last night. It is an achingly beautiful story by Kate DiCamillo. It's a child's book, but then, it's not. The language is riveting and the illustrations are touching. Edward is a china bunny with real fur and he's a bit stuck on himself. Abilene Tulane is the girl who loves Edward. I loved that the girl who loves Edward is named Abilene. It's a story of love and the journey away from self-centeredness to real love. That's really what makes the journey worthwhile anyway, isn't it? Love.